This article was provided by RussBrown.com. Biltwell recently sent a few new helmets in the name of love, and tattoo artist Andrea Revenant did a custom paint job on all of them. If you want to check one out, the process is simple: tell the bouncer or bartender, leave your number and hand over your ID to be photographed. You’re set, out the door and on your way to sweet love making while riding safe. A local watering hole in Redondo Beach is serving up both in a way you wouldn’t expect with their Loaners for Lovers helmet sharing program. Just over five years ago, Bouchard bought a new helmet and retired his old one to a shelf in the bar in case one of his patrons might find the need to use it. Come to find out, plenty of people did. The idea began simply as that. It’s no secret that people have been picking up others in drinking establishments since they were invented. At least now, when they do it, they’re being more responsible. Regardless of your thoughts on drinking, one thing is for certain, alcohol is indispensable. When the economy at its lowest, alcohol consumption goes on the rise, and if there’s one thing we need in hard times, it’s a good stiff drink. Running a close second, is the need to be loved. The idea caught on quick and people started donating. 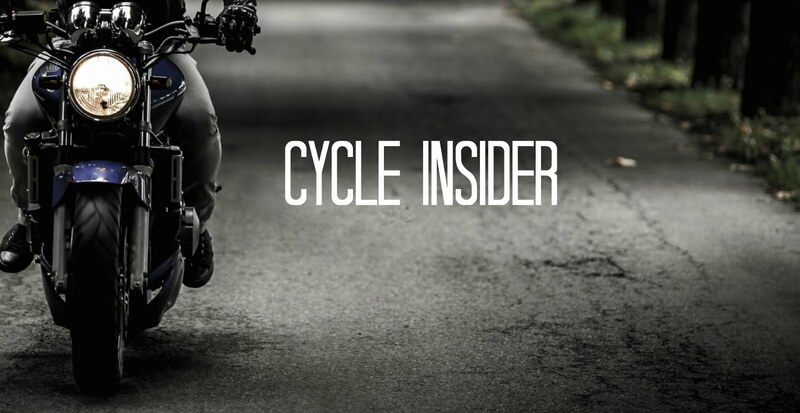 “The helmets actually get used quite a bit and that’s when Biltwell came in,” says Bouchard. 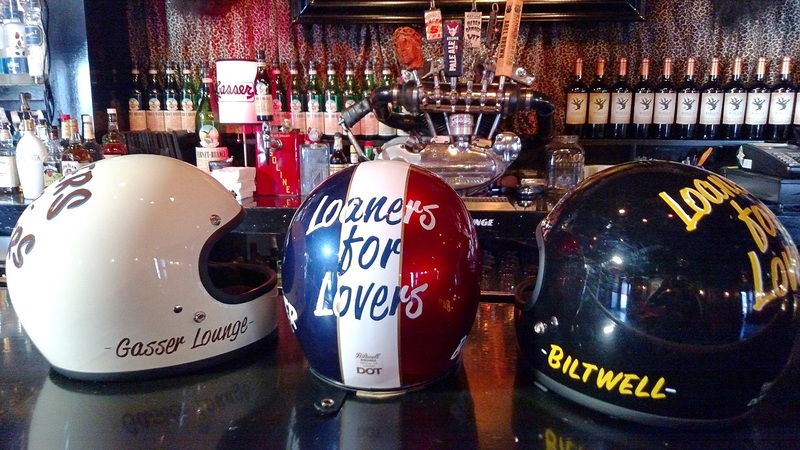 “We wanted to give them helmets for the cause because it seemed like a light hearted way to help out a local pub and hopefully keep a few hookups protected in at least one way,” says Mike Ellis, general manager of Biltwell Inc.
A product of love and motorcycles itself, it’s no wonder Loaners for Lovers started at Gasser Lounge. An eclectic mix of history, Rock-n-Roll, motorcycles and sports all wrapped up in a dimly lit and bizarre package—Gasser is a throwback museum of art and culture with a twist. Back in the 1920s, during Prohibition, this bar was rumored to have booze running in the front and girls out the back, with underground tunnels that are still visible in the basement. Not your average neighborhood bar, beers are poured out of a tap from a 65-Iron Head, motor while a shrine to Johnny Cash – made from the hood of a very rare car – watches over the bar. Everything is built by hand by owner Mike Bouchard, whose father used to drag race in the Gasser Class, hence the lounge’s name. “Gasser is the heart of motor head culture,” Mike explains, “and to me it just made sense to name my bar that.” He started as a bartender at the age of 19 while in college gaining his degree in business. Not wanting to put on a suit and tie every day, he applied that knowledge toward opening one of the most successful bars in the LA area. America has had a long love affair with liquor. It’s changed our history, created events, and defined our culture and politics. It’s caused people to fight, have babies, start wars but, most importantly, it’s also helped people fall in love. 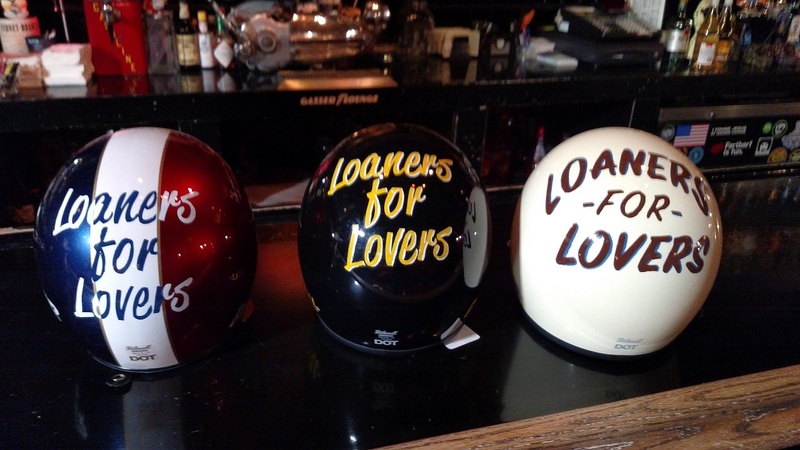 That’s where “Loaners for Lovers” comes in, a helmet borrowing program that allows you to give your new pillion a safe ride back to your pad (or theirs). In five years, only one helmet never made it back to the bar but that’s okay because a little love never came without a little loss. The next time you find yourself looking for a place to get rid of those blues, tie one on or just have a good time, do it at the place where you can test your luck in the sheets and not on the streets, because safety should always come first. Tell your local biker bar to start offering this program now. Russ Brown Motorcycle Attorneys will cover the cost of helmets for local biker bars that are interested in participating in Loaners for Lovers. Its a nice post & I love your idea of sharing! Thanks for share this cool things! Just love to read. I must share this to my mate! Loaners for lovers is awesome concept. Loved this idea. Looking for more awesome content in the future. thanks, I have one blog about gaming, I would be happy if you take a look. This is really a great idea of sharing a helmet on Motorcycle Hangout with someone special on this Valentines Day. I really like to say my sweetheart Happy Valentines Day My Love on Motorcycle Hangout or on long drive.